I get it—we all want our content and campaigns to achieve Internet fame and be the talk of the town. There’s nothing wrong with that, but what is wrong is the unfair expectations set upon us by others and ourselves. There’s a reason to temper our expectations and it has nothing to do with pessimism. It does, however, have everything to do with analytics. 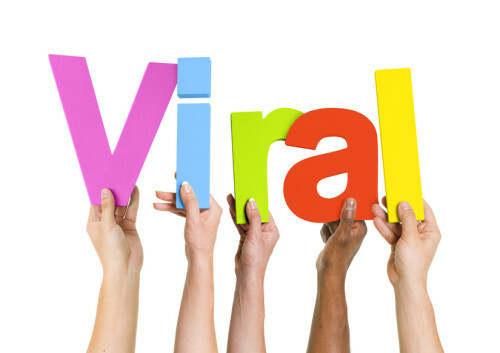 Fact or Fiction: there is a secret formula for viral content. Fiction. Everybody seems to be an expert these days, doling out his or her secret sauce like it’s Michael Jordan’s secret stuff. But the truth is, there’s nothing secret or special about it—it’s just another out-of-the box recipe. That’s not to disparage those recipes (I do love me some Betty Crocker brownie mix), but if everyone is using these recipes, why isn’t there more content viral? The answer, again, lies in the metrics. The biggest issue I have with the whole viral concept is that it’s subjective. By definition, viral content is an image, video, piece of information, etc., that is circulated rapidly and widely from one Internet user to another. So who determines whether something has officially gone viral? The correct answer should be you, and you only. Your success is dependent on the goals you set for yourself. Your goals are dictated by the results of your previous content. There is no set benchmark as to how quickly content must spread or for how many shares content must garner for it to become viral. My point is, don’t put the cart before the horse. We have data for a reason—to measure success, optimize our results, and set achievable benchmarks as we move forward. Now, having said all that, the secret sauce to creating viral content isn’t wrong, it’s just misleading. If you follow some simple guidelines, you will be well on your way to effective and successful content, just don’t expect it to go viral. So let me lay the framework of successful content for you. 1. Catch them with the title. You may have written the next great article of our time, but no one will know unless people actually read it. You have one chance to hook them, so start with an intriguing headline, making a click-through 100 percent necessary. 2. Know your audience. Not exactly groundbreaking knowledge here, but it couldn’t be more important. If you want your content to be shared, give the audience something they can relate to, something they genuinely care about, and most of all, something they’d be comfortable and happy to share. 3. Set achievable benchmarks. You didn’t think I’d forget about the metrics, did you? Without metrics, no content can ever be considered successful because there would be nothing to measure it against. Measure carefully and thoroughly so you can set reasonable expectations moving forward. Your success depends on it. 4. Get some skin in the game. For most people and organizations, gaining traction on content is incredibly difficult to do organically. The base audience is too small and the resulting potential impressions are minimal. Invest in your content, giving it a chance to flourish and reach the right audiences. You won’t regret it. In the end, virality is more opinion than fact. We waste our time and resources chasing the mythical buzzword and shake our heads in disappointment each time we come up short. It’s time we erase viral from our vocabulary and add a new one to it: consistency. We’ll all end up happier in the end. Jay Selig is a marketing and PR manager at RedPeg Marketing, an independent experiential marketing shop headquartered in D.C., with an office in L.A.
You can find Jay on LinkedIn or Twitter.